The main opposition Congress party’s promise to give sizable cash handouts to India’s poorest families if voted to power could re-energise its campaign to oust Prime Minister Narendra Modi at the general election starting in two weeks. Modi’s ruling Bharatiya Janata Party (BJP) has held the advantage in the run-up to the election, boosted by a wave of nationalism after military clashes with old rival Pakistan last month. Pollsters say Congress may have pegged back some of that advantage with its announcement, but it was not clear to what extent. Bhawesh Jha, founder of CNX, one of India’s largest polling companies, estimated that many voters in relatively poor and populous states including Rajasthan, Chhattisgarh and Madhya Pradesh - where Congress won power in local elections late last year - could be swayed by the handouts. Early this month, an opinion poll by CNX and India TV estimated that the BJP alone could win 238 of 543 seats in India’s lower house, the Lok Sabha. Together with its allies, the party would have enough seats to form the next government, the poll said. CNX has not published any poll since the Congress party announcement earlier this week that it would give 72,000 rupees ($1,045) each to 20 per cent of India’s poorest families, potentially benefiting 250 million of a population of 1.3 billion. “This will definitely increase Congress’ vote share but at this stage it’s difficult to know how many parliamentary seats it would get,” Jha said. Weak job growth and falling farm incomes have hurt the BJP, which romped to power at the last election in 2014 with 282 seats in parliament. This year, it has tried to keep the focus on its national security achievements and its promise of a muscular approach to Pakistan and home-grown militancy. On Wednesday, Modi announced India had successfully tested an anti-satellite missile, hailing it as a major breakthrough in its space programme. “These are the things that can reboot a campaign,” he told Reuters. But he warned that Congress needed to convince voters that the plan would be implemented if it came to power. A CVoter opinion poll released this week, also before the announcement, estimated that the BJP and its current allies could get 261 seats, while the Congress alliance could win 143 seats. 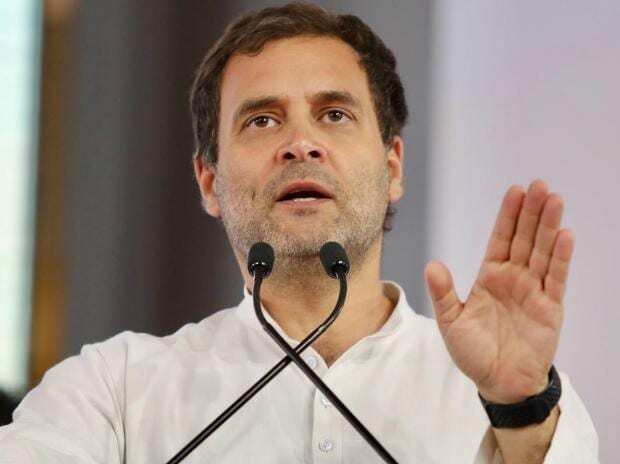 Several farmers welcomed the Congress proposal, announced by its president Rahul Gandhi, which entails a monthly payment of 6,000 rupees every month to families earning less than 12,000 rupees. “Farmers in poorer parts of the country tend to grow crops for their own consumption as they can’t afford to buy food stuff from the open market,” said Ram Kishan Yadav from Ramgarh in Jharkhand. About 70 per cent of India’s people live in towns and villages in the countryside. Some farmers, however, expressed reservations. “Rahul Gandhi’s promise looks good but it will work only if they convince people that they will keep their promise,” said Bharat Pujari, from Subarnapur in Odisha. Pujari, who owns six acres of land, said Congress’ organisation in his region was weak, which may hinder the announcement from reaching some voters. “Many people do not know about this announcement. Even if they know, they don’t trust him (Gandhi),” he said.